It’s easy to get wrapped up in our busy schedules, and often times we find ourselves staring at the clock, wishing we had some superpower to fast-forward through the workday. While we may not be Superman, we do have wine, which is pretty close. Summer is the absolute perfect time to kick back, relax, and sip on a refreshing glass of your favorite wine. This summer, leave the front porch and try something new by visiting one of the many incredible wine country destinations California has to offer. Sifting through them can be challenging, we know, but Touring & Tasting is your one stop tour guide to showing you the best new relaxation spots this summer. If you’re feeling burnt-out from your exhausting daily routine, don’t wait another minute to plan your getaway! The weather isn’t the only thing heating up this time of year…here is our list of hot wine country finds! Since the 1800’s Madera County has been one of the largest premium wine grape-producing counties in California, and over 200 years later, it remains one of California’s best-kept secrets. It’s combination of fertile soil, close proximity to Yosemite National Park, and countless opportunities for exploring in the nearby area make it an irresistible destination for your next summer getaway. While Madera County has typically been praised for their dessert and port wines, they’re no one hit wonder. 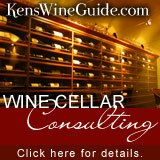 Over the years, wineries have been gaining recognition and received awards for a variety of different wines. Wine is just the cherry on top to all that this stunning region has to offer. 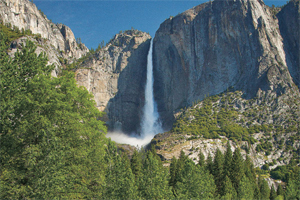 Find your inner adventurer as you hike through the famous trails in Yosemite, or perhaps through the scenic Sierra National Forest. Throw a line out at Bass Lake, or simply spend the day floating on the glassy water. Whatever you decide, it is sure to be an unforgettable summer adventure. Skinner Vineyards is maintaining a 150-year family legacy by producing Rhone-inspired wines with a California twist. Their location in the Sierra Foothills allows for exciting experimentation with various elevations and soil types that produce unique and diverse wines, which are loved for their complexity. This summer, sip on one of these exciting wines as you enjoy the picturesque steep vineyard and mountainous landscape from the 360-degree views from the tasting room. Invite friends to share stories on the spacious outdoor patio, or plan your trip around one of the many food, wine. and music events they hold throughout the year! 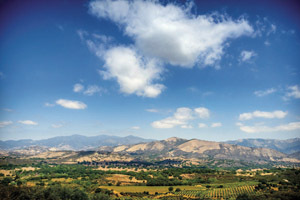 Westerly Wines is located in the Santa Ynez Valley, and sources its fruit from both Crown Point Vineyard and Santa Rita Hills. 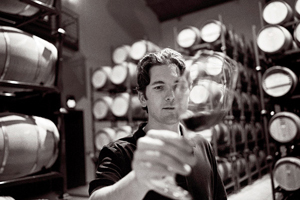 Westerly Wines are both reflect and inspired by the diversity of Santa Barbara Country, and its winemaker is constantly striving for perfection and improvement, with the current intention of producing a single-vineyard 100 percent Cabernet Sauvignon. Join winemaker Adam Henkel for a friendly and personal tour of the winery, taste the latest samples, and learn about the bright future ahead of Westerly Wines as you explore the beautiful property. Just 30 minutes away from the bountiful wine regions of Alexander, Dry Creek, and Russian River Valleys, Bodega Bay Lodge is every wine lover’s perfect pairing to their summer weekend getaway. With eight acres of stunning oceanfront property, Bodega Bay Lodge has something to offer everyone. Treat yourself with a massage or facial during day at the spa, or blow off some steam in the state-of-the-art workout facility. Satisfy your cravings with a five star dining experience at The Duck Club restaurant, and savor in the coastal cuisine from which it got its fame as you admire the stunning ocean views. Wind-down after a long day in the luxurious rooms that will make any guest immediately feel at home. Trinchero Napa Valley Winery has been producing fine small lot wines since 1948, and is known for its success in crafting single vineyard wines. The vineyards sites may be small, but the wines pack a big punch in flavor, each with its own unique taste and distinct terrior. Winemaker Mario Montecelli carefully selects every detail and ingredient that makes his wines unique, and he is eager to share his exceptional wine knowledge with his visitors. If you are looking for something more than a traditional tasting in the quaint remodeled farmhouse, join in on one of their daily seminars that offer in-depth and personal insight into Trinchero Winery, or enjoy a sit down tasting in the cellar room paired with cheeses that have been handpicked by culinary experts. We’ve all been told not to judge a book by its cover, but with Michael David’s visually stimulating labels, this is hardly the case. Feel free to pick up one of their wines purely by the eye-catching appearance, because what’s inside will not let you down. Enjoy a glass of their well-known “7 Deadly Sins” blended from seven different Old Vine Zinfandel vineyards, or try one of their other non-traditional blends. Visitors are invited to picnic on the beautiful pet-friendly property, or they may choose to savor in the fresh ingredients served daily at their restaurant. The names aren’t the only thing catching on at Michael David winery, plan your next summer weekend in Lodi and see for yourself! Located just 30 minutes outside of the bustling and vibrant San Francisco is the quiet oasis of Tri-Valley. It is composed of 5 cities, (Danville, Dublin, Livermore, Pleasanton, and San Ramon), each bringing something unique to the table while all still maintaining the same small town charm that Tri-Valley is known and loved for. This beloved region stretches it’s way into the 50+ wineries of Livermore Valley, offering a personal tasting experience that visitors enjoy far beyond what is in their glass. 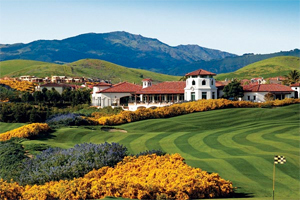 Tri-Valley is anything but boring, providing a plethora of activities to choose from including 17 golf courses, beautiful hiking and cycling trails , horseback riding in Sunol, and so much more. Whether you want a quick escape from a stay in the city, or a whole weekend solely to enjoy it’s friendly vibes, Tri-Valley will instantly become your home away from home. Charles Krug Winery is the oldest winery in Napa Valley. However, this winery has learned far more than just a few new tricks, using its experience and unbelievable property to evolve and grow with the ever-changing wine industry. 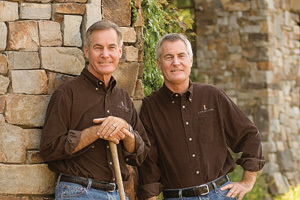 While maintaining their legacy with their well-known classically restrained wines and authenticity, they have put a modern twist to the family business with a newly remodeled winery, and a sustainable 3-acre culinary garden that services the Culinary Institute of America. Next time you are in Napa Valley, indulge yourself in the rich history while sipping of one of their classic wines in the Redwood Cellar Lounge. Or perhaps, take your wine to go and enjoy a picnic on property instead. The LangeTwins, Randall and Brad Lange, are part of a long-running generation of farmers that have been practicing sustainable farming since the 1870’s. They have been recognized for their countless efforts towards protecting our ecosystem, and also for their delicious wines. With the guidance and expertise of winemaker David Akiyosh, formerly of Robert Mondavi Winery, the LangeTwins Family Winery produces an impressive compilation of estate, reserve, and single-barrel wines. Visit the Press Room, LangeTwins Winery’s new sleek tasting room, for a private tour and tasting, but be sure to make an appointment in advance to ensure your chance to experience all they have to offer. HammerSky Vineyards & Inn is quite possibly the most enchanting stop off of the winding roads of Paso Robles. The century old farmhouse and barn brings a vintage and rustic feel that pairs beautifully with the modern tasting room that is serving some of the most innovative and intriguing blends found in the Paso Robles region. HammerSky is able to offer visitors more than the traditional winery experience by inviting them to stay the night on property in the charming farmhouse and barn. The remarkable landscape makes HammerSky the perfect location for a quite weekend getaway, and especially for intimate weddings and family gatherings. Whatever the occasion, HammerSky will take your breath away with its beauty and charm. Please do give us a call and stop by the next time you are visiting Yosemite !